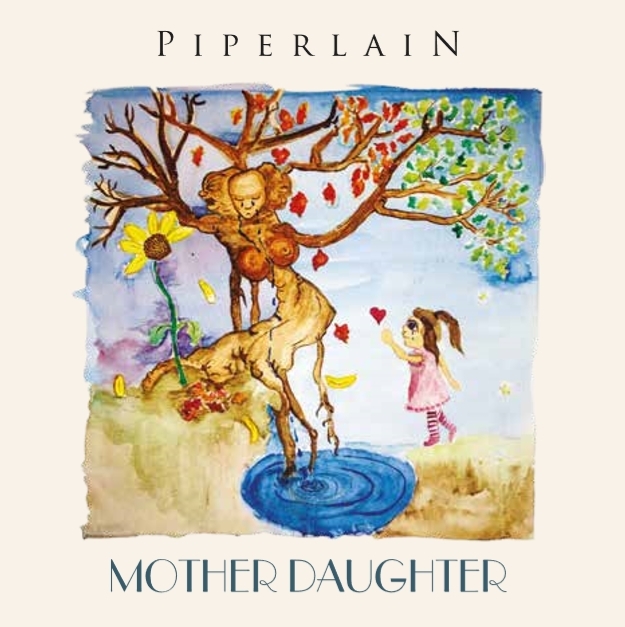 To coincide with National Carers Week (October 15-21st) Piperlain will be giving away limited edition copies of the concept album and poster via our website. There will also be a campaign on social channels to release more information detailing the meaning behind some of the songs on the album. We’ll be featuring a song each day during the week and uploading exclusive interview content. For your chance to receive a copy of the album and poster visit our giveaways page. Less than 2 weeks until we perform at UBERfest! Summer Tour festival on April 2nd at The Bridge Hotel, Rozelle. We’ll be playing a mix of songs from the Mother Mourned album to coincide with its release and also some favourite Piperlain tunes from our live shows. We’ll have pre-release copies of our concept album available on the day and are also offering giveaways to the festival. Win a double pass to UBERfest! We wish all our fans and friends a happy and safe holiday season. We’ll be back in 2017 with force as we prepare to release the Mother Mourned album, which is in the final stages of mixing and mastering. We’ve also completed recording and mixing a follow up EP with an international producer and have plans for a launch performance at one of Australia’s top independent music festivals. We have been rather reclusive this year as we take a break for the first half of 2016 to focus on family and prepare for the release of the Mother Mourned album, which has been delayed due to funding issues. We’d like to thank our fans for the continued support as well as from community radio stations. We continue to rank highly in the Reverbnation charts, often appearing in the top 10. As a special thank you we’ve uploaded one of our songs “Slip Away” for free download from our Reverbation site. Slip Away featured on our last single release “Mother Daughter” and is on the Mother Mourned album. Thanks for your support in 2015. We’ve had an amazing year with the release of 2 singles, Embrace and Mother Daughter – both available on iTunes, Google Play, Spotify and Bandcamp . We also featured in the APRA AMCOS enewsletter, in the Western Weekender and Central Coast Express Advocate and received a review in theMusic.com.au, industry mag. Plans for 2016 include the release of the full concept album, Mothermourned. We’ve started a Facebook page for the album, which we’ll add more content to leading up to launch. When you get a chance give it a visit and a Like. Thanks to all those who have contributed to the album so far, including our producer Paul Iannuzzelli of MusicPro Australia Professional Recording & Music Services, consultant producer Josh Telford, The Grove Studios and Studios 301. Piperlain and interviewed me on radio several times during the year on the concept album and the story behind it. Until the New Year – Season’s Greetings and Happy Holidays! Our new single “Mother Daughter” will be released on October 29th to coincide with mental health month. Mother Daughter is about the emotional journey of growing up with a mother with mental illness and is the second single from the forthcoming concept album entitled “Mother Mourned”; a personal story about our experiences growing up caring for mothers with illness and the emotional journey of working through innocence, despair, grief and release. It was recorded at The Grove Studios, produced with Josh Telford and Paul Iannuzzelli. It was mixed by Jackson Barclay and Ben Knight and was mastered at Studios 301 by award winning engineer Steve Smart. The song was written a year before my mother passed away and what I wanted to do was share an honest story about how my mother’s mental illness impacted on our relationship. Growing up I wasn’t told that my mother has Schizophrenia and it was never openly discussed due to the stigma. Sometimes I didn’t know where my mother ended and the illness started. I loved her and have fond memories but she could often be withdrawn and unavailable. We will be performing an acoustic set to be broadcast on live streaming app, Periscope, on Saturday November 7th, 8:30pm. Sign up for notifications via Twitter @Piperlain. I’ll be talking about the single and my personal experience of growing up with a mother with a mental illness and the forthcoming album. The single can previewed on our website or at www.piperlain.bandcamp.com. Credit: CD Artwork by Blue Mountains artist Amy Bell.